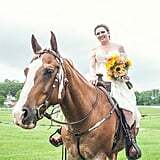 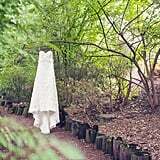 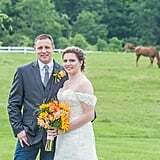 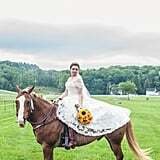 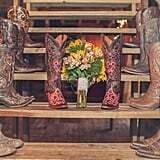 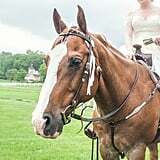 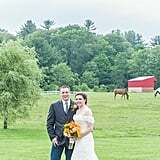 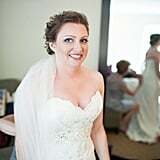 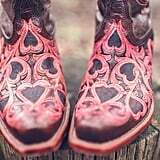 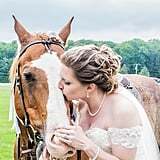 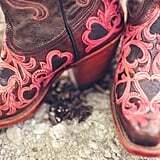 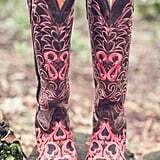 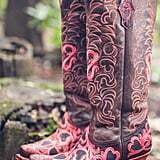 This Bride Rode a Horse Into Her Wedding With Cowboy Boots on — Talk About an Entry! 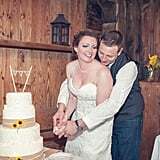 The couple's story starts back in 2004 at the Catholic Youth Center where Stan was a maintenance worker and Sara had diving practice. 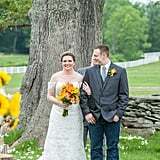 As a high school junior, Sara had a crush on the senior boy she'd see around but never expected to come up to her. 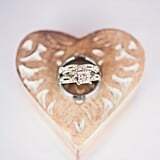 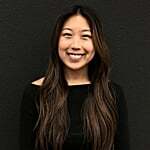 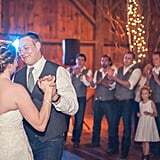 But one night at the gym, he approached her, and they've been high school sweethearts ever since. 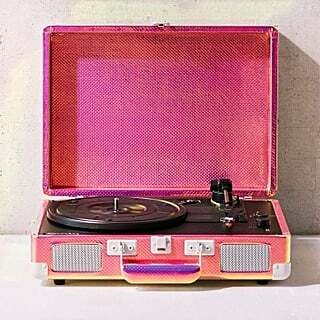 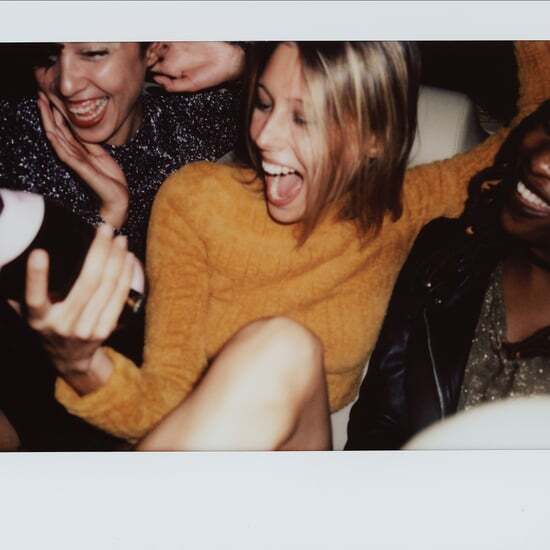 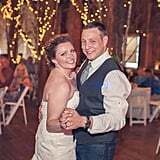 Managing long distance throughout college and other bumps along the way truly tested their relationship, but they only came out stronger. 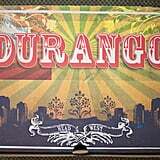 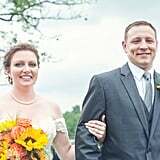 In August of 2013, the two had made plans to meet up with friends for a hike at a local state park. They often ventured there in the Summer with their dog, but something about that day felt different to Sara. 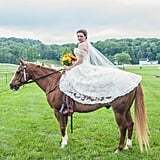 The big hint was that instead of throwing on their usual jogging clothes, Stan asked her to wear a little nicer of a shirt. 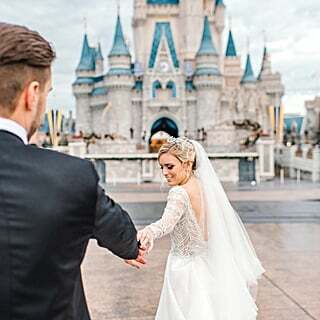 When they reached the waterfall where they had taken a picture together a while back, Stan asked someone to take their photo and then proceeded to get down on one knee and pop the question. 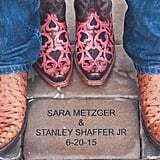 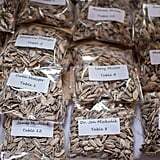 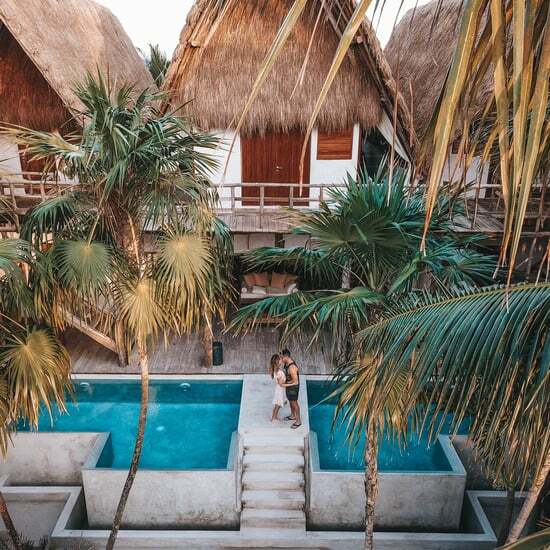 Sara and Stan spent the next year and a half planning their ideal wedding. 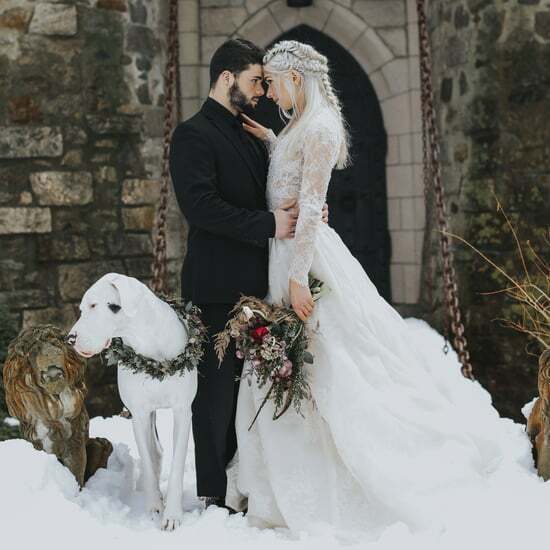 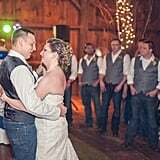 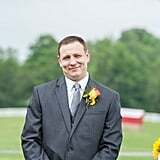 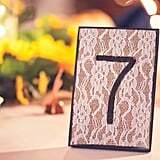 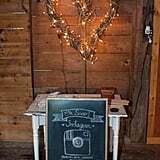 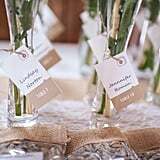 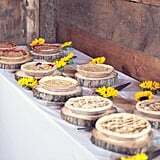 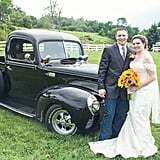 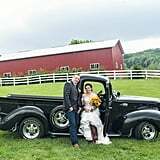 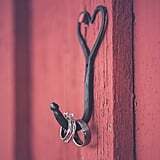 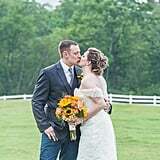 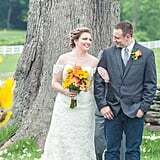 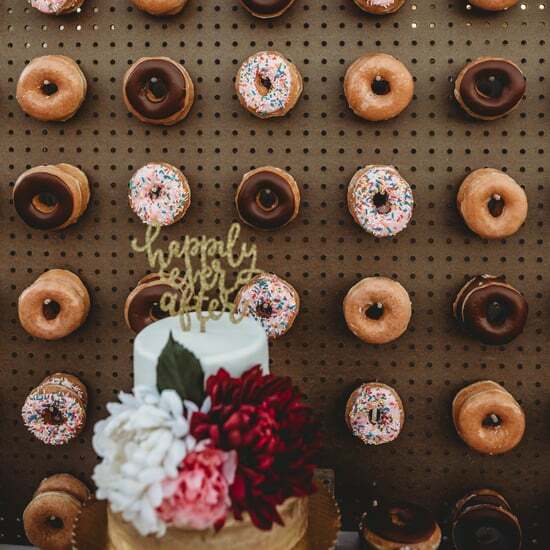 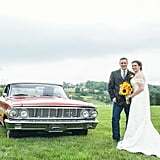 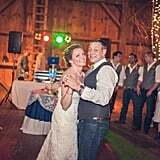 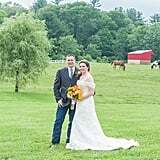 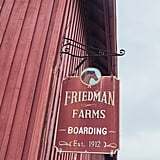 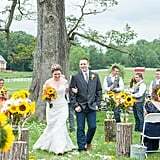 They decided on Friedman Farms in Dallas, PA, a rustic but elegant venue and "a country girl's dream," according to the bride. 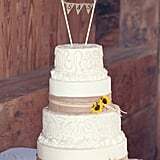 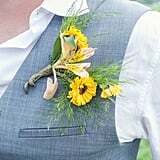 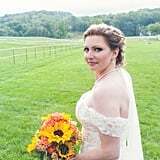 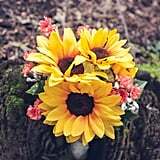 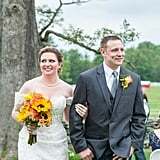 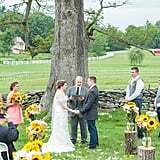 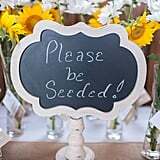 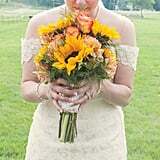 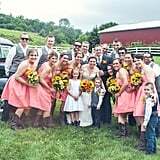 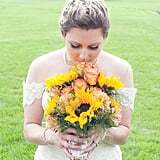 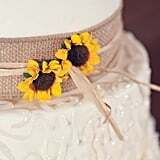 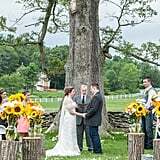 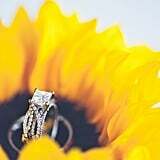 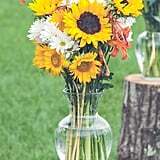 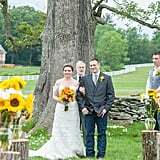 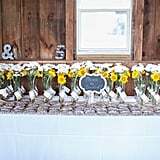 Being that sunflowers are Sara's favorite, it only made sense to make them their main wedding flowers, especially with a farm location. 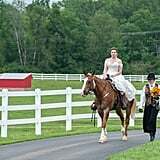 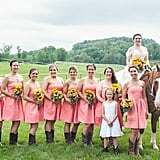 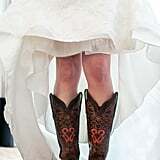 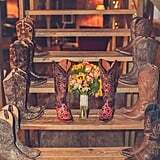 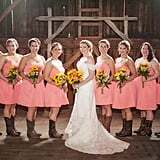 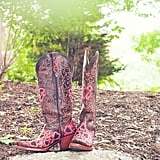 The bride and each of her bridesmaids wore cowboy boots the day of, and Sara even rode in on a horse! 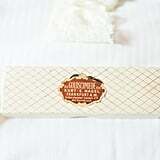 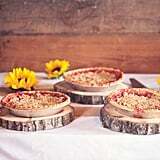 In addition to a traditional wedding cake, good old fashioned homemade pies were also served for dessert. 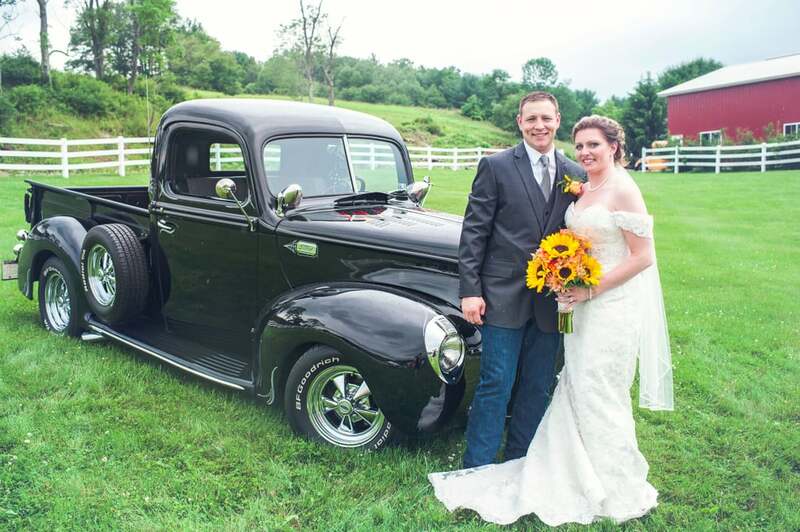 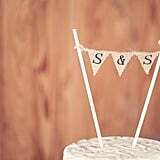 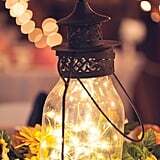 If you ever needed inspiration for a country wedding, Sara and Stan's is it!